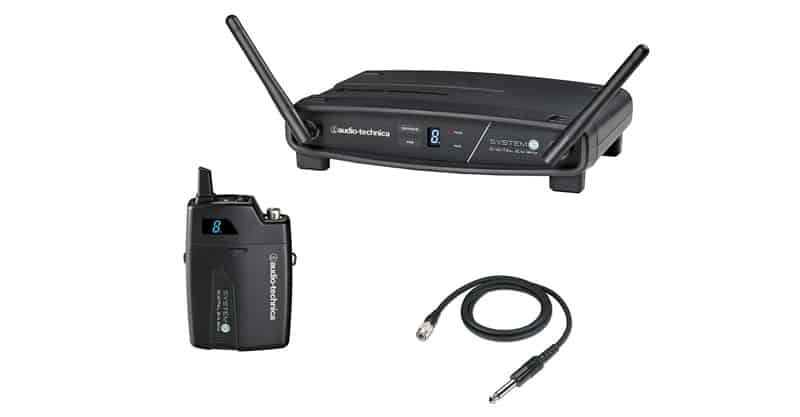 In this article, we’re going to compare the 7 best wireless guitar systems. Sometimes, as a musician, you just want to be free of constraints. This is especially true when you’re doing live shows, or are planning an especially energetic jam session. 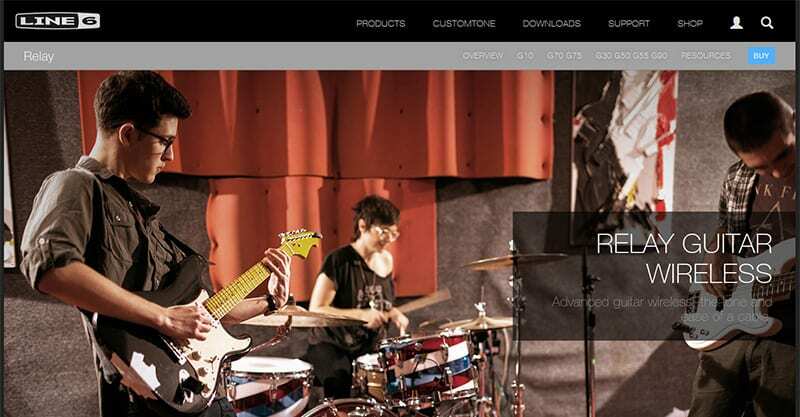 What Should I Look For In A Wireless Guitar System? Which Is Better – Wired Or Wireless? 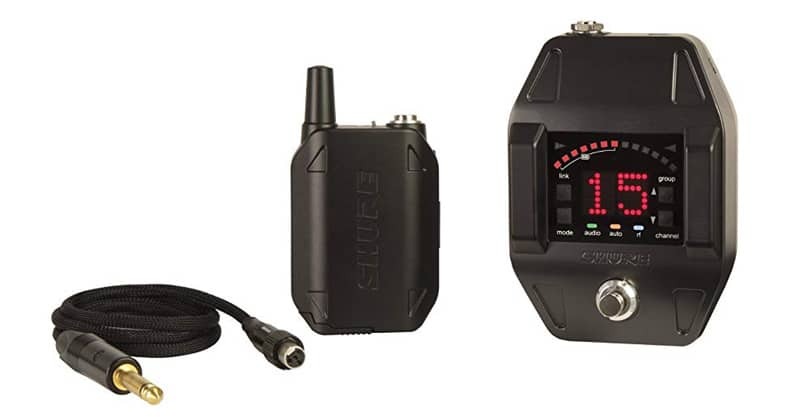 The Relay G50 boasts a line-of-sight 200-foot range, a dynamic range of 120dB, 24-bit digital conversion, eight hours of battery life, a transmitter and receiver, locking cable, power supply and batteries, 2.4GHz band, multiple layers of signal protection, encrypted data stream, and simultaneous broadcasts on multiple channels. Perhaps one of the best features of the Relay is that it has a very small receiver with large knobs and a design that allows it to fit nicely into a pedal board. 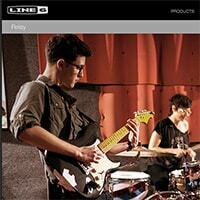 As with any wireless unit, you might experience a bit of dropout with this Line 6 unit. Overall, however, it does have great reviews and is one system worth checking out. The GLXD16 comes with a wireless guitar pedal tuner and receiver, a bodypack transmitter, WA305 locking-thread guitar cable, SB902 rechargeable lithium-ion battery, a PS23US power supply and SBC-USB-MicroB wall battery charger. With the Shure unit, you can operate up to four compatible systems in a typical setting, and up to eight in ideal conditions. The lithium-ion battery should give you up to 16 hours of continuous use. 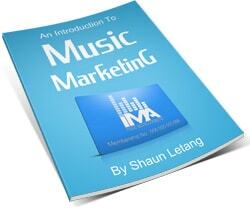 It also comes with a LINKFREQ automatic frequency management function. As with the Sennheiser, the Shure isn’t necessarily the cheapest option. But most customers agree this is a great unit. 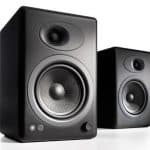 The Audio-Technica 10 ATW-1101 offers a digital 24-bit/48 kHz wireless operation, 2.4 GHz range free of TV interference, automatic frequency selection and easy operation. It includes a ATW-R1100 receiver and ATW-T1001 UniPak transmitter and a AT-GcW guitar/instrument input cable. There isn’t much more to add here, as the Audio-Technica unit is reasonably priced, easy to use and boasts a great sound. Customer reviews for it have been glowing overall. 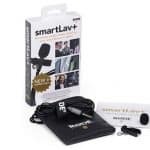 A well-known name in the microphone space, Sennheiser offers up a simple wireless system that will allow you to focus on your performance instead of trying to work out all the technical issues. 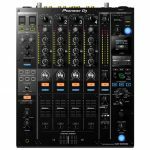 The D1-CI1 will automatically scan and find the best frequency and move to a new channel as necessary, the wireless link protection eliminates dropout, offers a clear digital sound, and it’s a durable unit made entirely of metal. For better or for worse, the Sennheiser EW D1-CI1 tends to eat through batteries, which is one of its main downsides. 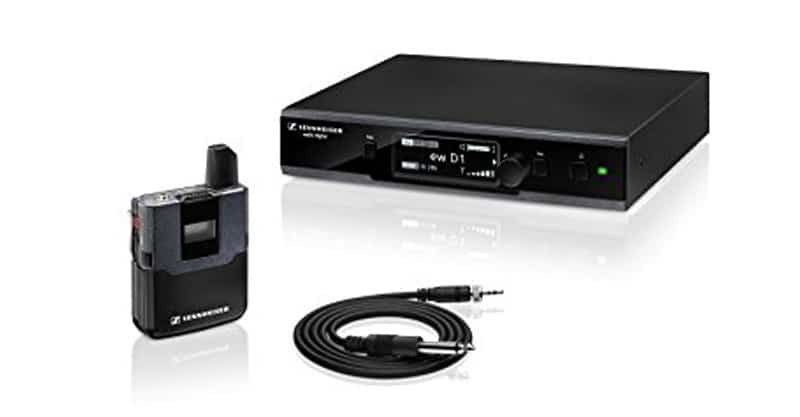 But most reviewers agree that the Sennheiser is a dependable if somewhat highly priced unit. You may have never heard of Xvive, and their wireless units are rather curious looking. But if you’re looking for a quick and dirty option, the U2 should more than do the trick. The U2 offers a 70-foot range, less than six milliseconds of latency, simultaneous broadcast on four channels, a 20Hz to 20kHz frequency response, and four to five hours of battery life. The Xvive unit also comes in nickel, black, grey, silver, carbon, red and wooden. But do be aware that this wireless unit only works with passive electric guitar pickups and piezo-electric acoustic guitar pickups. It will not work with active pickups. Here’s another “bang-for-buck” option that can get you up and running fast. The B-2 works a lot like a normal guitar cable but allows you to move around without the constraints of one. 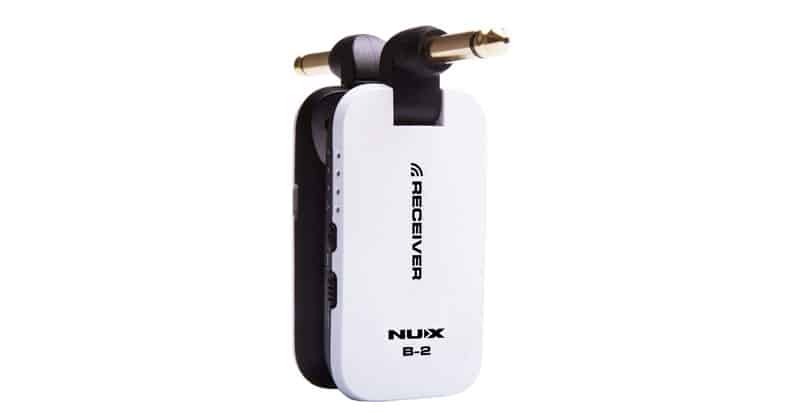 The 2.4GHz range allows you to bypass radio and TV interference. The B-2 also offers a 32-bit digital wireless sound quality and 48kHz frequency response, a dynamic range of more than 110db, a 50-foot operation range, and a five-millisecond latency. The NUX wireless system comes in white or black. Reviews for this product are mostly good, though some say it’s not an ideal solution for gigging. That’s not something you’ll know for sure without testing it out for yourself. 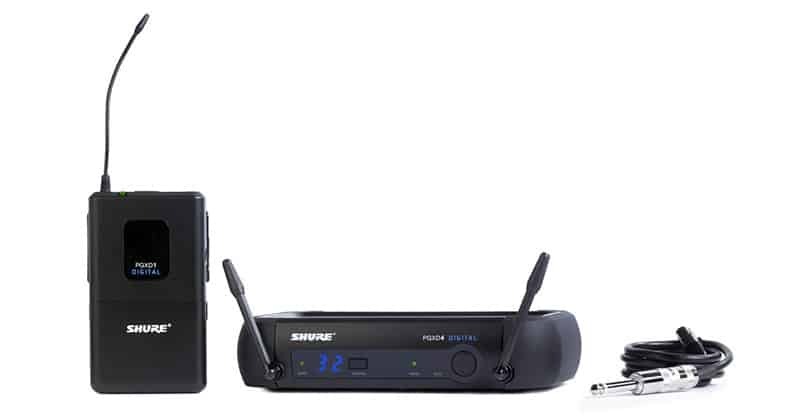 Here’s another offer via Shure, who is relatively prolific when it comes to producing wireless units. The PGXD14 comes with a rugged PGXD1 bodypack transmitter, which can clip onto your belt or your guitar strap. 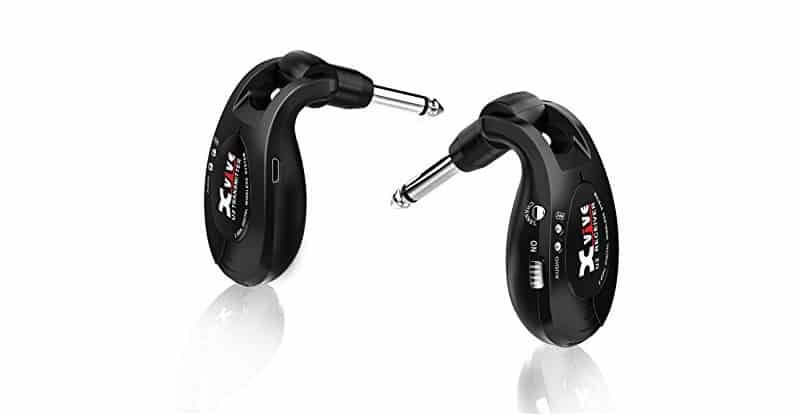 You also get a 20Hz to 20kHz frequency range, up to 10 hours of continuous use on two standard AA batteries, a PCDX4 receiver with a 24-bit/48kHz sound, auto frequency selection and a WA302 instrument cable. Customer reviews for the PGXD14 are quite positive, so here’s another wireless system that might suit your needs. 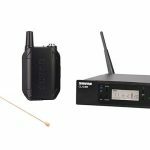 Trying to figure out which wireless guitar system to buy? Here are a few criteria I would be looking at if I were in the market for a wireless system. Some wireless units will give you a 50-foot range, while others tout a 200-foot range. Note that no wireless system is perfect, so even when they say you can be 200 feet away from your receiver and still get a clear signal, this isn’t always the case. A general rule of thumb is to buy a wireless unit that gives you a bigger range than you think you’ll need. It might seem overkill, but if you buy a unit that gives you 100 feet, and it drops out around 90 feet, you’re going to be disappointed. If you had a system that gave you 150 feet, you’d probably be just fine. 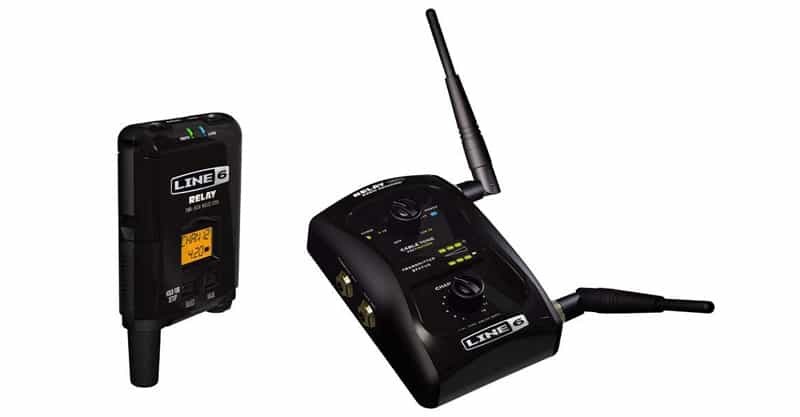 If you’re using a wireless system for the first time, then you’re going to want to experiment with it before you begin gigging and touring with it. Be sure you know exactly how it works and how far you can go before your signal quality is affected. A wireless system need not be complicated. These days, many products make it easy for you to get up and running without ever touching a button or tweaking a knob. Still, it’s best to test things out before you decide on a wireless unit. If its controls are too complicated, it’s going to add to your setup time. You’ll learn how to work with it long-term, but it will probably continue to annoy you for as long as you own it. To me, ease of use is key. Guitarists typically aren’t sound techs and don’t want to be. Don’t buy a wireless system that confuses and frustrates you. In this guide, you probably noticed how I talked about “continuous play”. Some wireless units are known to eat through batteries like nobody’s business. That’s fine if you’ve got a lot of rechargeable batteries on hand and you don’t mind swapping them out as required. But I think most of you would agree that it would be nice not having to swap out batteries for the duration of a gig. So, again, some companies might make big promises, but you should always think conservatively. If they claim their unit should allow for 10 hours of continuous play, then expect it to stay live for eight to nine hours instead. That way, you shouldn’t be alarmed when it cuts out earlier. Your transmitter is either going to be connected to your guitar, placed securely in your back pocket, sitting on your belt or guitar strap. Ensure that it doesn’t cause any discomfort. You don’t want your transmitter falling to the ground mid-solo or jabbing into your stomach as you’re playing an important riff. These days, transmitters tend to be small and lightweight, so you shouldn’t experience too much trouble, but it’s always better to be safe than sorry. You’ll find that most wireless units are somewhere in the $100 to $500 range. Certainly, you can probably find cheaper and more expensive systems too. Wireless systems generally aren’t in a price range that will break the bank, but I always find it best to be conservative. Don’t spend more than you can afford to, and don’t leverage debt unless you absolutely must. Naturally, you don’t want your wireless system breaking on you for anything less than a good reason. I always recommend checking the reviews before you end up buying a wireless unit that doesn’t make the cut when the going gets rough. As with anything else, you should treat your gear with care and respect. Pack it up nicely in a gig bag or hard-shell case after every performance. Stack it on top of other heavier objects instead of under it. Don’t throw or toss around your gear and don’t let others do that either. This isn’t so much a matter of which is better, but which is better for what situation. There are plenty of pros that prefer a wired sound. Just look at Eddie Van Halen. Even though he used to run all over the stage in the band’s hay day, he was still wired in. A wired connection is generally more dependable. I say “generally” because there is still a lot that can go wrong. You could have loose connections. You could break a cable. Your pedals could negatively affect your signal quality. But for the most part, when you’re wired in, it’s easy to get and maintain the tone you’re looking for and not worry about it dropping out on you. The opposite could be said about going wireless. You may not get quite the signal or tonal quality you’re used to when using wireless units. And, of course, your signal could drop out. No, you wouldn’t be tied to a cable, but there’s still a limit to how far you can be from your receiver before your signal cuts out completely. Still, as I alluded to in the introduction, if you’re using guitar cables, you’re going to be more tied to a specific location, with the added trouble that someone might trip over your cables (including you). There certainly are ways of managing your cables so things don’t get out of hand, but some guitarists are consummate performers and prefer not having to deal with cables at all. So, again, if you’re constantly running all over stage, jumping into the audience, jumping in on backing vocals at a moment’s notice, going wireless might be your best bet. The sacrifices you make in terms of tone and signal quality won’t be that significant overall. Meanwhile, if you’re a total purist and love a high-quality sound with total integrity, you’re probably going to prefer to be always wired in. As a guitarist, there are many constraints to be aware of. Things like how much space you have to move around before bumping into other band members, when to play loud and fast and when to tone it down, how many effects units you can add to your tone before your playing becomes unlistenable, and so on. Another practical restriction is the length of your cable. There’s nothing wrong with using a cable as a guitarist, and many professionals opt for a direct connection instead of going wireless, as it tends to be more dependable. But if you’re a particularly energetic band, you or your band members might trip over your cable. Additionally, if you have segments of your show where you’re moving out into the crowd or running around a huge stage, a cable simply isn’t the best solution. With so many variables affecting how your gigs and performances go, it’s always a good idea to invest in gear you can depend and rely upon. If you spend too little, you might end up with gear that breaks easily and doesn’t stand the test of time. If you put a good amount of money into it upfront, there’s less of a chance you’ll encounter problems until further down the line. But be sure to balance your purchase decisions with your budget.